In Hackbright Academy’s immersive and rigorous 12-week full-time Software Engineering Program, students build impressive web apps in just four weeks! Get ready to be inspired by these amazing women and their creations ranging from restaurant and recipe search apps to geo-location hiking trail maps that showcase their unique interests and personalities. Anula has played multiple roles throughout her career: Start-up co-founder, Data Warehousing Engineer, and Business Intelligence Engineer. She has a Bachelors in Electronics Engineering and earned certificates in database design, data warehousing, and data visualization. Her latest work experience was at R2Math, focused on K-5 education. Before this she worked as Data Warehouse Engineer at Getty Images, where she focused on ETL jobs, stored procedures, visualizations. Anula has primarily worked in BI. She enjoys programming because it’s best way to drive impact in modern businesses which are driven by Tech. Anula wants to be a data scientist as it is the emerging field of engineering which will change the future of decision making. Glitzy is an immersive and interactive social platform for fashion and trend advice. Once logged in, users can upload their pictures and get fashion advice from their social networks. People can seek advice on specifics (like pants, tops, jackets), accessories (like earrings, belts), or overall attire. Users can also keep in touch with latest trends in their social networks and provide their awesome insights, compliments, and advice by simply pointing and commenting on specific areas on pictures. Certificate in BI: Building the Data Warehouse, University of Washington. Certificate in BI: Techniques for Decision-Making, University of Washington. Certificate in Database design, University of Washington. Becca has always enjoyed coding, starting off her career at Microsoft right after graduating with a degree in computer science and math. She worked as a software test engineer, first on Excel and later on Pen Windows where she led a team of five engineers testing the SDK and handwriting recognition engine. Later she co-founded a startup called CrowdEye which focused on real-time search through mining data from Twitter. Becca wore many hats in this role, but was responsible for designing and building the front-end of the website as well as some of the back-end technology. Now that her children are older, she is enjoying dusting off her coding skills and learning new tech as she plans to work as a full-stack software engineer after Hackbright. FlightScore helps users make better travel choices when purchasing airline tickets. By analyzing the on-time performance data of nearly 6M domestic flights in 2017, it algorithmically generates FlightScores which can then be mapped to flights returned from the QPX Express API, giving users more insight into how future flights may perform. This algorithm analyzes statistics between any two airports including the percentage of delayed flights, the average length of delay, and the percentage of flights cancelled or diverted, while considering the airline, time of year, and departure time of each flight. D3 chord charts are integrated for data visualization of these performance statistics between the ten busiest US airports. Brittany’s passion for coding was sparked when she learned about NLP while earning her Linguistics degree at the University of California at Santa Barbara. She has always enjoyed the problem-solving involved with linguistics, and decided to carry the interest further by throwing coding into the mix. She made the transition after working as a project manager at TransPerfect translations, where she was contracting with freelance translators, and using computer assisted translation tools to ensure jobs went smoothly. When she isn’t dreaming about the language aspects of AI, you might find her playing a strategic board game, trying a new soup recipe, or training her kittens. Hit the Spot uses the Yelp and Mapbox APIs to inspire users to visit the fine establishments around them as they get to know their area. The app generates a list of places the user may find intriguing, and they can create a new list based on these places. Once explored, the user can add notes about this place, saving this experience so they can recall what they liked best (or didn’t like) about the place. Locations they’ve visited, or are interested in visiting, are displayed on a map. To incentivize the user to venture out, the explorer can generate a list of interesting ‘meet-up’ spots that are equidistant from two designated locations. Choosing where to meet a friend for dinner has never been easier. Brittany is well versed in language software such as WordFast, Praat, and Flexx. 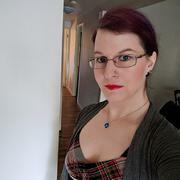 Taking a Computational Linguistics course at UCSB exposed her to NLP, and gave her experience with RegEx, tokenization, building grammars, POS tagging, N-gram models, parsing, and more. 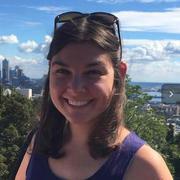 To solidify the fundamentals before entering Hackbright, she took some Python courses from Codecademy and Learn Python the Hard Way, as well as Python Data Structures and The Data Scientist’s Toolbox on Coursera. 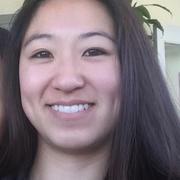 Carol Chung has contract experience as a Front-End Web Developer and Code Reviewer for Udacity (Front-End and React programs). 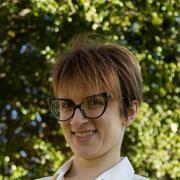 Previously she worked as a Technical Writer in the software industry. After learning HTML and CSS on the job, she became interested in becoming more hands-on in the software development process. Areas of interest include healthcare, biotech, VR, and museums. After completing Hackbright, she is open to Front-End Web Dev as well as Full-Stack opportunities. When away from a computer, she might be analyzing art at a museum, playing volleyball, or reading sci-fi. Seed to Soul is an automated recipe search service for busy people watching their sugar/carbs. A user can save their recipe preferences (nutrition and ethnic cuisines) and the system will poll the Yummly API for matching recipes regularly. A Unix cron job was used to schedule a Python script to build and send recipe API requests, save data to PostgreSQL, and call the Twilio notification API. On the Front-End, React was used to render saved, recommended recipes from automated searches and render recipes from a separate real-time search view. Redux was used to manage data store across components and React Router was also used. Python and Flask were used for the Back-End API. Dipika came to Hackbright after spending more than a decade of documenting software products, such as Cadence Design Systems’ VLSI design software and Cisco’s enterprise networking hardware. She is strong at grasping complex technical concepts, understanding the user flow, and working with cross-functional, geographically dispersed teams. She had previously completed courses in C++ programming and SQL. After a short career break, she decided to return to her passion for programming. She started taking online courses and attending Python Meetups. She also started looking for schools that taught the full-stack, which is what brought her to Hackbright. She looks forward to a rewarding second career. This app enables users to find a hiking trail based on their location. Users can search for trails based on the distance they want to hike or the elevation gain and difficulty they want to attempt on a given day. The results are displayed responsively on a map – a marker for each trail – each of which further shows more details about the trail. Oracle 8i with Developer 2000 and SQL*Plus; Honors Diploma in Network-Centered Computing from NIIT (India); Technical Writing tools (Adobe FrameMaker, Macromedia Captivate, Camtasia, XMetal, Web Publisher); Interconnecting Cisco Networking Devices (ICND) Part 1; Command Line Interface (CLI) certification; Instructional designing; Web writing styles; PyLadies Meetups in San Francisco, Berkeley, and the BayPiggies in Sunnyvale; Codecademy courses on Python, Command Line, and ReactJS. Edelita’s excitement for code was sparked at a young age when she discovered that all she needed to build a website was a text editor. (Then she turned that know-how into a way to earn virtual currency in her favorite online game!) Edelita graduated from San Francisco State with a B.S. in Business Administration, and has worked as a marketer in the video games industry since 2011. Taking on public facing roles, Edelita has spoken on behalf of developers, and has represented communities when interfacing with internal teams. 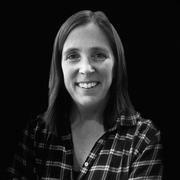 Her favorite aspects involved developing new processes, analyzing data, and creating tools to improve workflows. As a full-stack engineer, Edelita wants to help others be even more efficient at what they’re good at. Stream Tweeter is a social media automation tool that uses the Twitch API to publish dynamically generated content and information about a user’s Twitch stream to their own Twitter feed. A user logs in with their Twitch account and connects their Twitter account. The user then creates tweet templates that can include placeholders for real-time information, such as the currently streaming game. The app subscribes to webhooks for real-time detection of a user’s stream status, and on a configurable interval, generates a Twitch Clip from the user’s stream which is then embedded into a tweet. Additionally, data about the user’s stream is regularly saved to display metrics and a log of created content in the user’s dashboard. Born and raised in San Francisco, Elizabeth has always been drawn to the tech industry. She took Computer Science coursework at UC Davis and City College of San Francisco and is loving her transition into software engineering, despite the bugs in her way. Before Hackbright, Elizabeth worked in customer service and developed a work ethic that earned her a promotion from a barista to a shift supervisor. Along the way, she adapted to various roles and developed leadership and problem-solving skills. She’s excited to utilize these skills as a software engineer. Elizabeth is also a latte artist and gaming enthusiast with an interest in all trades and an obsession with engineering. Eventfull helps to put visuals to one’s busy life. This web-based app is geared towards families who have a hard time keeping tabs on each other’s changing and hectic schedules. Users are able to invite friends or families to view their events. Individuals have a user profile with personal contact information and a calendar view, can create and be invited to see events, and have those events be displayed onto the calendar where only friends/families are able to see on their own calendar. After taking one programming class at UC Davis, Elizabeth loved it so much, she started self-teaching through free websites and CS books. Feeling like she wasn’t challenged enough, she was drawn to bootcamp courses to become a software engineer. Elizabeth first attended Hackbright’s Prep course; and when the opportunity presented itself for the Full-Time Program, she was determined to pursue her dream of becoming a software engineer. Ella has spent the past five years working as an actor in New York (mostly Off-Broadway new plays, with a smattering of film and tv). She was obsessed with puzzles as a kid, studied philosophy (including first order logic) at Yale, and spent her time as an actor doing lots and lots of crossword puzzles and teaching herself coding, while backstage. She loves working on a team, building things, and finding opportunities for ownership over a small piece of a larger system (whether that system is a play or a codebase). She loves that coding is just as creative as acting, but in a completely different and complementary way. Ella hopes to find a way to balance continuing her career as an actor with coding professionally! Before diving into the world of big data and software engineering, Ellen ran her own small business teaching, performing, and producing Swing Dancing events, and before that she was a school teacher. She has always been drawn to new challenges and she loves digging into the technical side of things, whether that’s teaching pedagogy, dance mechanics, or object-oriented programming! She loves finding creative and elegant solutions to the ever-evolving problems of software projects. After Hackbright Academy, she is eager to find a full-stack engineering position where she can put her problem solving to use! This React app anticipates how long it takes users to get ready via client-side timers. When logged in, a Flask server captures timestamps in a PostgreSQL database and later aggregates timing records with SQLAlchemy to provide personalized timer estimates. If the user falls behind their initial estimate, the app can text an update to their friend with Twilio. The user’s profile page features React-Vis data visualizations of their different steps and completion times. Driven by curiosity, Ellen took a Data Analytics course at General Assembly where she learned advanced Excel techniques, SQL, and Tableau. She enjoyed working with data and coding so much that she picked up “Learn Python the Hard Way” by Zed Shaw and began teaching herself Python. Wanting to use this new tool in her data projects, she completed a Data Analytics course through Udacity where she learned data-centric Python libraries as well as hypothesis testing and other statistical methods. 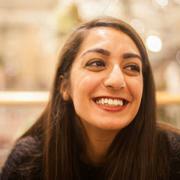 Before Hackbright, Gohar was an accountant. She took some time to care for her family, and at the same time was looking for opportunities for continued learning. She took some online courses for Web Design and loved how she immediately could see the results of her work. Her friend recommended Hackbright Prep and Gohar discovered she liked the challenge and problem solving aspects of coding. After completing Prep, she decided to take the Full-Time Program. She looks forward to using her web development and design skills for her new career in tech and engineering. Outside of programming Gohar enjoys making and designing cakes. CakeTopia is a web application designed for people who love cooking and want to create custom designed cakes by hand. The app helps users find and share cake ideas and decoration instructions, and post design tips and instructions on how to decorate cakes. Users can perform keyword-based searches and see results grouped by the occasion and style of the cake. Registered users can add and edit recipes, upload photos of their creation, and build a favorites list to create their personal collection of recipes and designs. Ellen has master of mechanical engineering and has been working for several years as a project engineer for an elevator company based in Japan. Being responsible for overseas projects always gave her chances to work with different functional teams and communicate with people from different countries. While she was passionate about this part of her role, she wanted to learn a new skill. Since she was young, Ellen has admired software engineers who are able to build software to make people’s lives better. After being introduced to programming by her friends and taking online courses, she realized this was the next step for her career and the challenge she was looking for. GooTrip helps you create your own travel guides with personal travel memos –restaurants, activities, personal notes – anything you would love to keep up with your travels. With GooTrip users can enter the places they would like to visit and attractions within that location. They can then also make personal notes on each attraction. The result is a great, interactive guide with all the places to visit, details about each attraction, a Google map to show where the attractions are located, and photos for each attraction. GooTrip is designed to easily add/update/delete travel details, and uses a machine learning algorithm to provide recommended attractions based on your list and locations others have visited. For the past three years Jade was a Community Director for a youth ed tech program in Oakland, CA, managing a team of 40 people and a community of over 1,000 families. 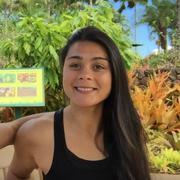 Prior to her role as a Community Director, she pursued a professional Muay Thai career traveling, competing, and training the martial art of Muay Thai. During her spare time, she enjoyed the fun of completing coding challenges and decided to take a step further into her coding education. After Hackbright, Jade is excited to pursue a career as a software engineer. She hopes to work for a company where she can make an impact and learn from experienced software engineers. WBMTN is a tool for snow sports enthusiasts, to help navigate their mountain adventure at Whistler Resort. After registering with their skiing/riding preferences, an algorithm calculates the user’s personalized ride report that recommends which ski lifts and trails to explore depending on weather conditions, trail status, ability, and riding category preference. Through an interactive lifts D3 tree map, users can view the mountain and locate which trails they can access from specific ski lifts. For a bird’s eye view of the mountain, we have a full trail map created with the library elevate zoom. Users can post comments, favorite, and rate trails. After they’ve picked their favorites, users can text that list using the Twilio API. Jade’s time spent as a Community Director kept her close to different apps her company created. In one instance, Jade provided feedback during the initial design process of an improved photo uploader. Jade was responsible for updating her locations WordPress page, client communication with Groove, and project management flow through Asana. Jade also created a training platform to onboard directors to a new app for staff communication, Sling. Jessi recently graduated from the University of Florida with a degree in Biology. During her time in school, Jessi conducted research on wine grapes bred for resistance to certain diseases affecting vines, and really enjoyed working with data and conducting data analysis. Jessi also interned at E&J Gallo in their research winery where she got hands-on experience with winemaking fundamentals along with experimental design. Jessi hopes to combine her passion for data and data analysis with programming in order to continue solving problems within the tech industry. Jam is a music-focused social network application that connects people through events using Eventbrite’s API. The Jam application allows users to search for music events by keyword, comment on events, and manage bookmarked events through their profile. Once logged in, the user can access their profile page to view a list of bookmarked events, as well as a map of bookmarked events, built using the Google Maps API. Users can connect with other Jam users via an email feature on the Jam application that uses SendGrid’s email API. 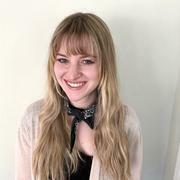 Jessi was introduced to Python at Codeacademy and then completed Hackbright’s Prep Course introduction to programming before entering Hackbright’s Full-Time Software Engineering Program to learn full-stack development. Fyable is a web app that utilizes Oauth and the Spotify API to access users’ Spotify data and calculate compatibility scores between two users based on their music listening habits. Fyable’s algorithm is designed to generate the compatibility score which looks at top artists, top tracks, related artists, music genres, and the playlists of two users to see similarities in listening tastes. Fyable also displays insights about each users’ music data in several data visualizations leveraging the D3 library. Before attending Hackbright, Jing was a Global Supply Manager at Theranos, where she communicated with internal stakeholders and external suppliers. She graduated from Purdue University with MS and BS in Quantitative Agricultural Economics. As a research assistant, she built regression models and analyzed big data sets to study malnutrition, and agricultural and economic issues in Africa. She is enthusiastic about Python and data, and she hopes to use her analytical mind and problem-solving skills working with data as a software engineer. 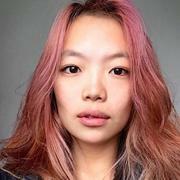 Outside of engineering, Jing enjoys oil painting, traveling, and rock and indie concerts. FlickrMatch is a web application to explore common interests between two Flickr users. Using any two Flickr usernames, the app creates D3 word count graphs and match scores based on photo tags, title, and description, and a D3 time-series map based on geo info of the photos. The app also recommends pictures based on what they have in common. The app requests the users’ photo information from Flickr API and saves the data to the local database. The data is then structured and analyzed with pandas, nltk and reverse_geocoder libraries in Python. FlickrMatch is designed to create fun and socialization for Flickr users. 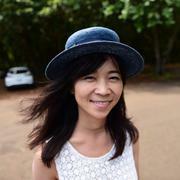 Before Hackbright, Jing was a part-time student at Springboard on the Data Science Career Track. She also took machine learning and data-science related classes from DataCamp, Coursera, and Udacity. 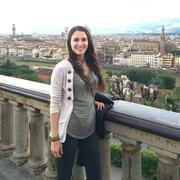 Her part-time projects involve the topics of regression, classification, time series, and text processing. In addition, she attended various open learning platforms to teach herself Python, R, and SQL. Upon graduating from the University of Southern California with a bachelor’s in Art History, Julia’s interest in the arts and creating things led her to working in the fashion industry. She found herself incorporating software into her workflow to create more efficient processes and convincing coworkers to do the same. Looking to change industries, find more opportunities for learning, but still be creative, Julia took Hackbright Prep and was hooked on coding. With her interest in arts and design, she has gravitated towards front-end features and user experience. In the future she looks forward to combining her love of the arts with technology. Jinx Bird is a tool that uses data on bird sightings to help bird watchers find the bird that has been eluding them. Users can search a database of almost 11,000 species to find information on the exact bird they’re looking for. Jinx Bird geolocates the user’s current location and using an API of user-reported sighting records, finds every recent sighting of that bird in your region within the last thirty days, and displays results on a map. Users can also keep and review a log of their personal field notes. Katie first fell in love with computers living in a remote village in Congo. At 14, she taught computer lessons to Congolese hospital administrators who only had experience with typewriters. Katie’s other love was books, and after reading every book in her house multiple times, she went to Harvard and studied History and Literature. Growing up in a country with an oppressive government made Katie passionate about freedom of speech, and she became a journalist at Forbes after graduating. But like her teenage self, limited in what she could do on her computer without the internet, Katie increasingly wanted more tools to pursue the causes she was passionate about and started teaching herself Python and R, which then led her to Hackbright. Growing up in the Congo during war and political unrest, Katie was frustrated by how little coverage the conflict she witnessed first-hand received in American media. WarWatch quantifies that discrepancy, not only in Congo but across Africa, using the Armed Conflict Location & Event Data Project’s database of more than 150,000 conflict events in Africa since 1997 and the New York Times API. Users can explore the data through Google Heatmaps, D3.js and Charts.js on an interactive Flask app that updates dynamically with JQuery and AJAX. WarWatch’s PostgreSQL database is updated on a weekly basis with new events and articles, allowing users to track media coverage in real time. Before Hackbright, Liz managed AAU’s Web Design team, which happily renewed her passion for tech. Liz has proven adaptability, with experience at a financial startup of fewer than 10 and an SF institution of over 10,000 employees. 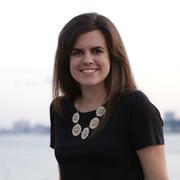 She has excelled as a biz dev rep, budget admin, and project manager. Liz’s BA degree was also designed across three disciplines: 50% Comm, 30% Business, and 20% CompSci. Liz looks forward her next role as a full-stack software engineer where she can work on impactful products, engage growth via technical problem-solving, and collaborate with teams of creatives. She keeps herself challenged by performing comedy, volunteering for the League of Women Voters, and practicing her MarioKart powerslide. SamePage provides lightweight kanban project management through simple, virtual pinboards. A user can be a member of several teams, navigating between team boards to “opt in” and claim action items, or post new ideas for teammates to upvote. Teammates see all pending tasks at a glance, as well as click into any of their pending action items to update notes or mark as completed. Email API integration allows users to invite new contributors, and data visualizations provide user and team data insights. Using drag and drop kinetics, the app is intuitive and easy to use for personal projects, planning events with friends, or keeping a professional team on the same page. Mansi graduated with a Masters degree in Electrical Engineering from ASU. Her quest for understanding how computers were designed led her to work for many semiconductor companies in the Bay Area where her primary focus was on MicroProcessor Design. Mansi coded in VHDL and Verilog during prior jobs. With the hardware industry moving towards automation and her love for problem solving and logical thinking, pursuing software engineering seemed an obvious choice to her. While researching opportunities in software engineering, she also taught herself the basics of several other high-level languages. She looks forward to building her skills as a software engineer after Hackbright. When not working, she loves traveling and playing badminton. 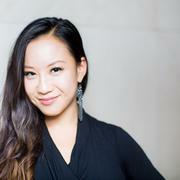 Over the past four years, Melody has worked at Facebook as a product marketer & strategist on Facebook’s ads API team. She worked closely with engineers and advertisers to build ad technologies such as creative permutations and rules automation API’s. Last year, she had the opportunity to speak about FB’s new ads API’s at F8, the company’s annual developer conference. Melody’s collaboration with engineering teams at FB, combined with the time she spent at Stanford University, have cemented her love for the technology industry. She’s drawn to engineering because this field ignites her curiosity for understanding how technologies work at the fundamental level, and allows her to truly create a product and an experience that impacts lives. When I see clothes I want to buy on Pinterest, I often have no way of finding similar pieces through their provided links or elsewhere on the web. My app lets users select an image and find a list of similar pieces they can buy via ShopStyle, a site that aggregates clothing from a wide array of retailers. I used Pinterest’s APIs to give users the option to pull all of of their pins and filter by a specific board. Once the user selects a pin or inputs an image URL, the app uses Clarifai’s API to extract the major features from the image, combines that with data from a Pin’s description (if a pin is selected), and includes the user’s clothing size(s) – and returns a lit of similar & relevant pieces available for purchase on ShopStyle. After graduating with a Masters degree in Computer Engineering, Nirav worked in various tech companies as a Software Engineer in Test (QA Engineer) for more than seven years. 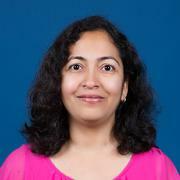 She has worked on both automation and manual testing in an agile environment. 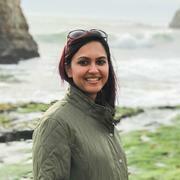 Nirav has always been curious about new technology and expanding her technical skills. Over time she realized her interest was in building software rather than breaking software. With great inclination towards problem solving and software development, she is excited to transition into a full-stack software engineering role post Hackbright. GoHike is an collaborative hiking app that enables users to search trails, get trail information, plan hikes, track information about their hiking experiences, and make recommendations to friends. A search feature provides users with a selection of nearby trails based on zip code or a known location. Data is accessed from a trail API and results show trail names, links to the trail’s site, rating information, trail location, trail picture, and a google map showing trailheads. Users can select a given trail and plan their hike. From there they can track their hike details. Users’ hike pages have a chart.js graph representation of their hiking trips. Users can comment and rate their hikes and can recommend particular trails to friends via SendGrid Email API. Work Experience : over seven years at companies such as Motorola, Starfish software, LightSurf , SurveyMonkey as a Software Engineer in Test (QA Enginee). Nirav has worked with core teams as well as growth teams of the product. Technology: Java, SQL, JIRA, Python, Confluence, BrowserStack, Test Rail, Splunk, DataDog, NewRelic. 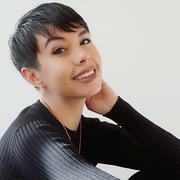 Nora is a San Francisco native with a background in Neuroscience. Before starting Hackbright she dabbled in academia and e-commerce, earning a Master’s degree, doing STEM outreach with middle and high schoolers, getting her name on a few scientific publications, and some start-up experience along the way. 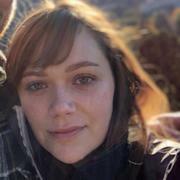 Nora found her interest in computer science through Harvard’s CS50 online course, which she started as a side project, but quickly became her primary focus. She loves the way that programming allows her to use her math and science mindset to build amazing tools. Nora spends most of her free time with animals, researching skincare, or experimenting in the kitchen. Eat It prevents you from falling on your face when it comes to food management and meal planning. Eat it is your pantry in the cloud: your household’s foodstuffs organized by location or expiration, where you can move, edit, or update any detail. Eat It will help you consume perishables before they expire, and let you know what has expired. Eat It can also help with grocery shopping: toggle any item in your pantry onto your shopping list when you want a refill, or add items directly. When you’re ready to go shopping, the map feature can tell you which supermarkets near you are open, and once you check items off the shopping list, they are added back to your pantry with an updated expiration. Before Hackbright Nora was entirely self-taught through online tutorials, mostly Harvard’s edX CS50 course. Parul graduated from UCLA with a Masters of Public Policy. Previously, she worked as a healthcare and non-profit management consultant. As a consultant, she enjoyed creating solutions for data management and using Python for data visualization. Over time, Parul sought to learn more about programming and data infrastructure to actualize team goals, whether by creating an app for a non-profit or streamlining the data cleansing process. Moving forward, she is excited to graduate from Hackbright to help build impactful products. 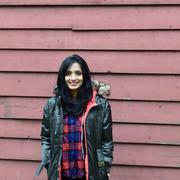 Outside of coding, you can find Parul cooking, running, and reading, though not all at the same time. Carl is a single-page web application, with a React frontend and a Python-Flask backend. Users can log information regarding job applications on a main dashboard, update statuses, and view recent news about a particular company, retrieved from the NewsAPI. The React frontend makes API calls to the backend, which uses SQLAlchemy to talk to a PostgreSQL database. Users can also compare applications and view personal analytics, which are displayed with the Victory chart components library. Due to time constraints, the project does not include Redux; as a workaround, information was passed via url parameters, from parent to child components or from backend API calls. 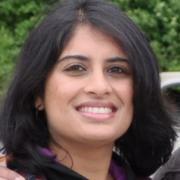 Priyanka is a software engineer with a background in business and fashion. While she was the creative director at her fashion company, she decided to take her enthusiasm for problem-solving to the next level with programming. She enjoys a good challenge and loves being surrounded by people she can learn from. Being in the creative field has made her an original and practical thinker. She is collaborative with strong business acumen and communication skills and believes that creativity and technology can be an unstoppable force together. Priyanka is a unique combination of innovative spirit, strong programming skills, and a deep understanding of the needs of today’s technology market. In the past, Priyanka has extensively used Adobe Creative Suite, HTML, and CSS. 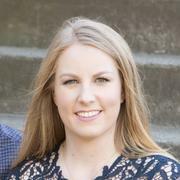 Rachel is a former ESL instructor who worked most recently training new hires in the healthcare industry. As a trainer, she noticed the struggles her trainees faced while using software and decided to take a more proactive role in implementing solutions. She developed changes with the software analyst team and learned to code herself. In these roles, she gained skills documenting processes and communicating with diverse teams. She enjoys exploring new options to improve workflows and thrives in a collaborative environment. She loves data modeling, working with APIs, and sometimes gets overzealous about finding the edge cases. She enjoys the creative challenge that programming provides and looks forward to a future in full-stack engineering. Readerboard is a web app that gives readers a central location for tracking their reading habits and finding new books. The search feature utilizes the Goodreads API, allowing the reader to view details about a book, add it to their shelves, and write a Goodreads book review. Every book search also shows a list of friends on Goodreads who have read the book. The reader can see the book’s availability at the library via the Overdrive API. Each reader can view charts containing data about their reading habits and progress on custom reading challenges. Readerboard retrieves user data from Goodreads via OAuth and relies on Chart.js to create meaningful, personalized content. Sarah is enjoying sharpening her technical skills and preparing for a career in software engineering. Previously, she worked adjacent to tech in data operations at Google Maps and as part of the Facilities Operations team at Facebook HQ. While she enjoyed that work, she is looking forward to joining more technical teams in the future and bringing her attention to detail, interest in data, and experience with product policy implementation to her new role. 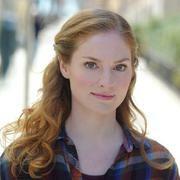 In her spare time, Sarah volunteers at Oakland’s city animal shelter and enjoys hiking with her two dogs. Trail Quest takes the analysis paralysis out of selecting your next hike. Using the Google Maps and Hiking Project APIs, users can specify their location and hike preferences and see a tailored list of trails near them. Users can select hikes they want to go on and save them to their profile. When users are ready to get trekkin’, they can send directions to their mobile devices using the Twilio API. After completing trails, users are awarded badges. What gets you the Whistle Pig badge? Hit the trails to find out. 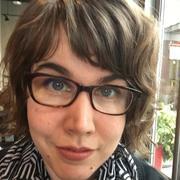 Before Hackbright, Sarah worked parallel to tech in various roles and as a web master at a non-profit. She started off in Hackbright with their part-time prep course. 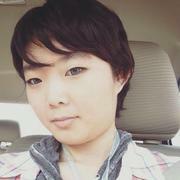 She currently attends PyLadies in SF MeetUps weekly and is planning to join Code for America projects after Hackbright. Sarai is a mathematician with a background in teaching, consulting, and product management. While an analyst at a software company, Sarai saw a need for leadership and advocated for a new Technical Program Manager role to be created, managing a team of consultants. The VP approved and appointed Sarai to this new role. To solve a customer problem, Sarai taught herself Python by writing a script, and she continued her growth into an engineer through open source software projects. She’d like to continue to develop her skills with software design patterns and her product/data-informed thinking, ideally moving towards a leadership role in engineering. Recommended Repositories uses a Github-authenticated user’s stars, watches, and follows as features to recommend repositories or users to follow. The recommender system is built on a sparse Singular-Value Decomposition algorithm for dimension reduction. The front-end uses React components for flexible, DRY templating, and AJAX requests with CSS animations to generate an interactive, responsive UI. Sarai has a BS in Mathematics, and spent three years in B2B SaaS software across roles as an technical program manager, information security officer, analyst, implementer, and product owner. She has a background teaching courses in matrix algebra, linear algebra, statistics, calculus, differential equations, and knot theory. Shirley has a curious, entrepreneurial spirit that motivated her to live a largely nomadic lifestyle for the past 6 years. Aspiring to make a meaningful impact on the world, she earned an accelerated B.A./Masters in International Affairs, specializing in Business Management and Environmental Policy. Her adventures include freelance market-entry consulting, business development at start-up companies around the world, and most recently founding a boutique modeling agency. Shirley decided to unlock her potential for influence and innovation by learning to communicate with computers. She has been told she’s easier to get to know than to forget, and loves connecting with people from all walks of life. BudBud: A Buddy for your Bud! “Bud Search” allows users to locate cannabis dispensaries nearby that offer a desired strain, and renders an interactive map with navigation directions. The BudBud database (PostGreSQL) contains 144 strains & 60 dispensaries in San Francisco and Oakland, populated through web scraping (Leafly.com). Registered users can personalize their cannabis experiences with private journals, as well as share public adventure stories in “Bud Journal” (powered by jQuery). “Party Bud” the enlightened bud bot algorithmically recommends new strains to users, based on journal entries and search history. BudBud is constructed in Python and prettified with Bootstrap. Maps are rendered by Google API. 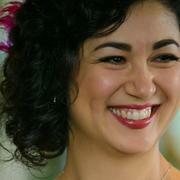 Prior to Hackbright, Tal spent most of her professional life analyzing data to make informed business decisions. 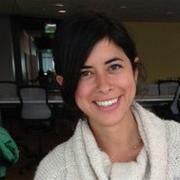 At Eventbrite, Tal started her performance marketing career and became the senior lead after 4.5 lovely years there. Her primary responsibility in that role was to grow the business by profitably acquiring customers through data-driven decision-making. It was at Eventbrite that Tal was exposed to the tech engineering world, working closely with engineers and product managers to instrument tracking, troubleshoot data issues, and run tests. She gravitated towards these technical aspects of her role, and found them very rewarding. That, combined with her curiosity and desire to build, motivated her to pursue software engineering. Lola is the foodie friend you wish you had in every city to answer the question “Where do the locals eat?” New users sign up with their zipcode and a ‘Favorites’ list is created by default that they must add five restaurants to before other content is unlocked. Locals can create and edit lists using search powered by the Yelp API on a dynamic page written in React. The discover page includes new restaurant recommendations based on a user’s top categories. Users can view a Google Map of the top restaurants in a city based on popular vote by the locals. Any list can be emailed leveraging the SendGrid API. All restaurants have a details page which includes photos scraped from Instagram after fetching the location ID using the Facebook Graph API. A former admin assistant, Tasha has experience with data entry in the context of hospital administration. During her time in the healthcare industry, she discovered an insatiable passion for optimization and documentation. After learning the ins-and-outs and needs of her company, she created a new role for herself in maintaining patient health information (PHI). With her humanities education, Tasha’s knowledge of societal methodologies has influenced her approach to user flow. The transition into the tech industry has been equal parts “what if I could automate this process?” and “I can bring my humanities background into tech”. Got Game? is a video game database (PostgreSQL) containing over 18,000 titles parsed from a Kaggle dataset. Search results are displayed in alphabetical descending order, but the user can re-sort by platform, genre, and score as well (DataTables). Users review games, using both quantitative and qualitative measures. Critic scores are static whereas user scores are used dynamically to create an aggregate score (Python). An additional feature is the ability to create custom tags with a drag-and-drop interface (JQuery UI). A native San Franciscan, Valerie feels at home in a forward-looking marketplace of ideas, with a rich artistic and cultural core. Her interest in storytelling led her to pursue a B.A. in English at UCLA, where she also took courses in symbolic logic. After spending five years in tech on the Operations and Client Services side, solving problems with processes and people-power, Valerie again found herself drawn to the more technical tools available to her engineer coworkers. Starting with some basic SQL queries, she began to teach herself programming, which brought her to Hackbright. When not coding, Valerie sings with two choral ensembles and innovates in the kitchen, never content to adhere strictly to the prescribed solution of a recipe. PlayTime is a tool to help fitness instructors create the perfect playlist for every class. Using OAuth2 protocols, a user can log in via their Spotify account to connect their playlists. They then create custom categories, profiles for different types of songs which allow a user to specify a range for duration, tempo, energy level, and/or other qualitative criteria. Categories can be applied to existing playlists, which can then be edited directly in the app. If a user needs some inspiration, they can request recommendations based on their custom category, and PlayTime will use the specifications provided by the user, the songs they already like, and Spotify’s API to provide a list of new songs that perfectly match their needs. Valerie has always been interested in systems of symbolic communication, but hadn’t considered a career in programming until she started working at a tech company. Motivated by a need to pull metrics for her team, she used resources her company provided to learn some basic SQL queries. She soon fell in love with telling computers what to do, which led her to check out Codecademy’s online courses in HTML and CSS, and eventually to attend Hackbright’s Prep Course and Software Engineering Program. Vanessa’s story with tech began at age 3, when her parents bought her her first computer – even though she couldn’t read. 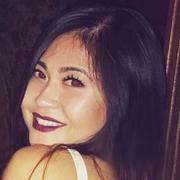 Before joining Hackbright, Vanessa attended UC Berkeley working towards her Integrative Biology degree while simultaneously wearing many hats at a small skincare company. While she enjoyed being a pre-med, Vanessa felt a void in her career choice and noticed that she repeatedly gravitated towards the tech industry. Her transition to tech as a career solidified after learning the basics of Ruby and discovering her passion for coding, marrying her passion for innovation and design with her love for medicine and tech. Vanessa’s current interests in the tech scene include (but are not limited to): Healthtech, AR/VR. Micronourish is a web app designed to help individuals meet their nutrition goals. Micronourish sources NMBI studies and charts to identify minimum micronutrient levels for registered users, based on age and biological gender. The app, powered by Python, gathers the user’s daily food intake data, automatically queries the USDA API, and calculates remaining micronutrient needs. D3 elegantly visualizes data, while JQuery UI widgets allow for autocomplete, dynamic inputs, modal windows, and the automation of HTML5. Yingying graduated from UC Berkeley with a Bachelors in Statistics. During college, she took a few computer science classes in which she really enjoyed. 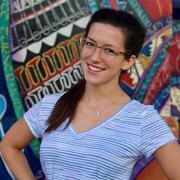 Prior to her time at Hackbright, she had an internship where she used Python to analyze and create reports from data. Yingying also loves building things with code. On her free time, she wrote small games such as Sudoku using Python. 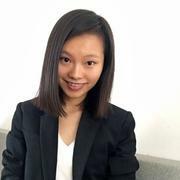 Because of her passion in programming, Yingying decided to pursue a full-time career as a software engineer, which led her to come to Hackbright. 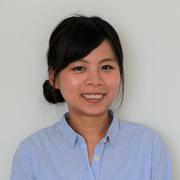 Yingying is looking for opportunities where she can apply and develop her software engineering skills. She is particularly interested in machine learning and data science. Amazon Price Tracker is designed to help users track specific items and notify them when prices change or come on sale. By scraping product prices with the Amazon API, and using the Twilio API, users receive notifications when their pre-selected items come within a determined price range. The app also uses a machine learning model to recommend similar items in users’ carts. 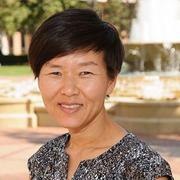 During college, Yingying took introductory classes to computer science such as CS 61a and CS61b and more advanced classes such as machine learning and time series analysis. Yingying also had a data analyst internship where she scraped, cleaned, and analyzed millions of entries of data. Before joining Hackbright, Yingying took a prep course in Ruby. learning to code? Check out our upcoming Prep Course and our immersive 12-week full-time or 24-week part-time Software Engineering Programs.